Measuring the integrity or trustworthiness of public companies is an ongoing research project at Trust Across America-Trust Around the World. In fact, we now have over 7 years of increasingly “rich” data. While we are in the business of identifying “best in breed” and not in predicting the next corporate crisis, our FACTS(R) proprietary data is quite capable of doing so. Citigroup, JP Morgan, Bank of America, Wells Fargo… Did the lack of integrity at Wells Fargo contribute to its recent crisis? Could it have been avoided under different leadership? What do you think? Would you like more insights like this? Trust Data: Public companies can review the level of trust within their organization and compare their performance to their peers. Order our Trust Inc. book series. Join our Trust Alliance where share our research with high integrity business leaders. If you lead an organization, serve on a Board or in any management capacity or work with others, and you continue to ignore trust as a hard asset, you are losing out to your competitors and failing to protect your organization against a Wells Fargo crisis. (Source: G.Palazzo, F. Krings, Journal of Business Ethics, 2011). Many models of (un)ethical decision making assume that people decide rationally and are in principle able to evaluate their decisions from a moral point of view. However, people might behave unethically without being aware of it. They are ethically blind. As organizations are comprised of individuals, Ethical Blindness naturally extends into the workplace. Some business sectors appear to be more ethically blind than others, and this creates enormous enterprise risk. This chart shows the trustworthiness of the major sectors for the Russell 1000 companies based on Trust Across America’s FACTS(R) Framework. An environment /culture that operates within this ethos sounds an awesome place to me , I would work there tomorrow if I knew where to look for it. Every year about this time, the news “treats us” to the top corporate reputation failures, and 2017 is certainly no exception. I think it’s safe to say that the “buck stopped” on the CEO’s desk at Wells Fargo, United Airlines and Equifax, to name just a few leadership fails this year. While bad news continues to sell, not all is gloom and doom. When I launched Trust Across America-Trust Around the World almost ten years ago, one of our objectives was to redirect attention to the “good.” Great corporate leaders are plentiful, but their stories often get buried amongst all the bad news. The list below is not about philanthropy or CSR, but rather a long-term holistic embrace of trustworthy leadership and the resulting impact on ALL stakeholders, not just shareholders. #1 David Reiling, CEO at Sunrise Banks talks about community enrichment, innovation and its impact on underserved consumers in banking. #2 Basecamp CEO Jason Fried limits both meetings and work hours to ensure his employees lead well-balanced lives. #3 Amy Hanson, CEO of Hanson Consulting encourages both teamwork and corporate transparency. #4 Rose Marcario runs Patagonia and for her, conscious leadership has resulted in the quadrupling of profits. #5 Fifty-year old Earth Friendly Products CEO Kelly Vlahakis-Hanks pays her employees a minimum of $17.00 per hour. #6 In an industry fraught with reputation disasters, Gary Kelly at Southwest Airlines not only puts customers first but insists on making flying enjoyable. #7 Love, trust and commitment to excellence are how Mark Stefanski, CEO (for 30 years) of Third Federal Savings and Loan describes his values, while eighty percent of his associates are women. #8 Mark Benioff at Salesforce is trying to close the gender and racial pay gap. #10 Chip Bergh, who took the helm at Levi Strauss in 2011, has created a long-term focused culture where employees feel safe to experiment… and it’s worked. Whether male or female (count them on this list) trustworthy CEOs know that philanthropy and CSR only go so far in building high trust companies. Trustworthy CEOs practice what we call VIP Leadership (Values, Integrity & Promises kept). The CEOs mentioned on our 2017 list don’t just “talk” about stakeholder trust, they walk it. Community enrichment, focus on employees, conscious leadership, treatment of customers, protecting the environment. These are what make a great CEO. Let’s celebrate these trustworthy leaders and the companies they run. Let’s work together to continue to build organizational trust in 2018. Barbara Brooks Kimmel is the CEO and Cofounder of Trust Across America-Trust Around the World whose mission is to help organizations build trust. She also runs the world’s largest global Trust Alliance and is the editor of the award- winning TRUST INC. book series. In 2017 she was named a Fellow of the Governance & Accountability Institute, and in 2012 she was recognized as one of “25 Women who are Changing the World” by Good Business International. She holds a BA in International Affairs from Lafayette College and an MBA from Baruch at the City University of NY. Copyright (c) 2017, Next Decade, Inc. All rights reserved. Question: If elevating organizational trust improves profitability, what stops senior executives from placing trust at the top of every business agenda? Question #1: How is the level of trust in your organization? Question #2: How do you know? Answer from Executive #1: Our revenues are exploding and we are expanding globally. Note: I call this the “shareholder value” answer. Answer from Executive #2: Weren’t you listening during my speech? Our CSR and philanthropy programs are some of the best out there. Note: I call this the “corporate window dressing” answer. Ask almost any C-Suite executive these two questions and most likely you will get a similar answer. Executive #1 works for one of the largest health insurers in the world. Over 500 employees posted the following comments on Glassdoor.com. Overall, the employees rate the company a 3 out of 5. Executive #2 works for one of the world’s largest pharmaceutical companies. Let’s see what over 200 employees have to say about their work experience. Overall, the employees rate the company a 3 out of 5. Do these sound like “high trust” companies to you? Do perceptions match reality? Trust Across America has been researching and measuring the trustworthiness of the 1500 largest US public companies for almost eight years via it’s FACTS® Framework. This, by order of magnitude, is the most comprehensive and fact-based ongoing study on this subject. We analyze quarterly and rank order by company, sector and market capitalization. We are particularly interested in tracking individual companies and sector trends over time. While Trust Across America continues to make the business case for trust, it remains quite common for perceptions of organizational trustworthiness to remain misaligned with reality. Most times, the trust “wake up call” and the residual fallout unfortunately occur AFTER a crisis, and as a direct result of a blatant abuse of stakeholder trust. Just ask Wells Fargo, Mylan and Volkswagen. It’s a lost opportunity when business leaders wear their trust blinders while the evidence mounts not only for the business case but also the financial one. Trust works. Copyright 2017, Next Decade, Inc.
Wells Fargo is clawing back compensation to rebuild trust, or are they? Volkswagen has found the “secret” to rebuilding trust…. are they kidding? A bunch of “fake activist” companies, outraged over the purported trust violations of Bill O’Reilly, pull their advertising, or do they? Thanks Jim! And let’s not forget United, except this isn’t about customer brutality, and maybe not even about trust! It’s just ironic. This week, instead of watching sitcoms, I’ve taken to reading the news. As an organizational trust researcher and communicator, I’m finding it not only highly educational but also wildly entertaining. As I’ve said for many years, the ongoing trust crisis will certainly not abate until untrustworthy leaders sail off into the sunset or recognize the error of their ways and start advocating for change. Barbara Brooks Kimmel is the CEO and Cofounder of Trust Across America-Trust Around the World whose mission is to help organizations build trust. Barbara also runs the world’s largest global Trust Alliance, is the editor of the award winning TRUST INC. book series and a Managing Member at FACTS® Asset Management, a NJ registered investment advisor. In 2012 she was named one of “25 Women who are Changing the World” by Good Business International, and in 2017 she became a Fellow of the Governance & Accountability Institute. Barbara holds a BA in International Affairs and an MBA. Copyright (c) 2017, Next Decade, Inc. If your work brings you in contact with others, and chances are it does, how much time do you, your team or your leaders spend discussing how your internal and external stakeholders perceive the company’s integrity? How much time is allocated to reinforcing the notion that strong corporate culture built on trust and integrity are business imperatives? If your answer is “little to none” you are not alone. As a former CEO told me, most leaders are too busy putting out the day-to-day fires to think much about “soft skills” like integrity. One need only refer to the latest Wells Fargo and Mylan scandals to see what happens when culture, trust & integrity are of little importance to corporate leadership. Ironically, many of these same crises could be averted if the “soft skills” were a business imperative.Why does organizational integrity matter? Can, and should it be measured? Why do organizational trust and integrity matter? Can, and should culture, integrity & trust be measured? Requires an “all hands on” approach. 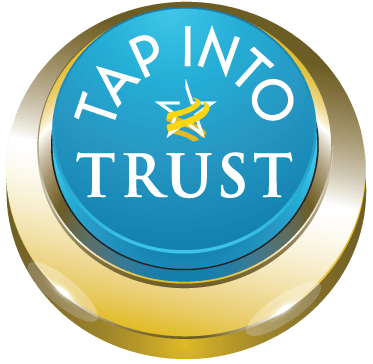 Much of our work at Trust Across America-Trust Around the World focuses on measuring the integrity or trust “worthiness” of pubic companies and identifying “best in breed” via a unique, holistic lens called the FACTS® Framework. Developed by a cross-silo multidisciplinary team, and in the wake of the financial crisis in 2008, the framework began to take shape by asking the same question of dozens of “siloized” professionals from leadership, compliance and ethics, legal, accounting, finance, HR, consulting, CSR, sustainability, etc. “What do you consider an indicator of corporate integrity or trust “worthiness” that can be independently and quantitatively measured without requiring the input of the organization itself? And while every professional had a different perspective, the same indicators were mentioned time and again. “In order for a company to be trust “worthy” it must display good corporate governance said the governance folks.” Similarly the financial professionals pointed to stable earnings, the accounting group talked about forensics, and so on. And by blending all of these indicators of corporate trustworthiness into a very large integrity spreadsheet, we found ourselves able to measure integrity and trustworthiness with some degree of accuracy. The master spreadsheet also makes glaringly apparent where and why the Enron-like “risk” often lays hidden in these 1500+ public companies. Fast forward, and with eight years of unique and compelling data, the majority of companies and their leaders continue to hold on to the notion that trust is a soft and immeasurable skill, and that data from one corporate silo to the next need not be viewed as a holistic “whole body” scan. After all, it’s very hard to balance long-term value creation against the need to “maximize earnings” and meet the always-looming quarterly numbers. Better to wait until the next corporate crisis to talk about the importance of trust and how measures will be implemented (maybe) to safeguard against future missteps. Or maybe it’s time to start thinking more carefully about integrity & trust. According to our FACTS® Framework, during the three-year period from February 2013-February 2016 America’s most trustworthy public companies substantially outperformed the S&P 500 according to the actual composite audited performance shown below and reprinted with permission of Facts Asset Management, LLC. This was not a “back test” but rather “live” money under management, followed by an independent audit verifying the returns. Trust works as a business strategy. FACTS® Managed Accounts were independently audited from Feb.1, 2013-Jan.31, 2016. Prepared by FACTS Asset Management LLC. FACTS® is our model of identifying America’s Most Trustworthy Companies by applying FACTS strategy parameters. The composite results translate to 50.09% for FACTS® and 28.1% for the S&P 500 cumulative percentage return shown above, or 16.7% average annualized for FACTS® vs. 9.5% for the S&P 500 over the same period. The audited Composite Performance results shown above may not be indicative of future results. Full audit documents available upon request. The composite performance records are based on all accounts managed using the FACTS strategy for a three year period, 2/1/13 to 1/31/16 and are not representative of the FACTS® Asset Management LLC program. Tax consequences are not reflected in the performance records. Past performance is not an indication of future return. There can be no guarantee that a new program will prove to be profitable in the future or that it will achieve performance results similar to those achieved in the past using the FACTS strategy parameters and you may lose money. The performance numbers reflect the reinvestment of dividends. The composite performance net of fees is calculated using a weighted average fee for the entire period because not all accounts were charged equal fees and some accounts were not charged fees. The S&P 500 is a widely recognized market value-weighted index of 500 stocks designed to mimic the overall U.S. equity market’s industry weightings, and does reflect the reinvestment of dividends. Past results are not necessarily indicative of future results. While no company is perfect, a growing group of visionary leaders have struck that balance and are reaping the rewards shown in the chart above. Over the years our FACTS® Framework has identified many high integrity companies who share above average scores across all measurable indicators of trust “worthiness” and a leadership vision that embraces the new strategic business imperative of elevating integrity & trust. Leaders that measure what matters, including trust, DO make better decisions and over time they are rewarded with lower risk and higher profitability. Barbara Brooks Kimmel is the CEO and Cofounder of Trust Across America-Trust Around the World whose mission is to help organizations build trust. Now in its seventh year, the program’s proprietary FACTS® Framework ranks and measures the trustworthiness of over 1500 US public companies on five quantitative indicators of trust. Barbara also runs the world largest global Trust Alliance, is the editor of the award winning TRUST INC. book series and a Managing Member at FACTS® Asset Management, a NJ registered investment advisor. Copyright © 2016, Next Decade, Inc.
There’s nothing more destructive to trust than deceit, and nothing more constructive than candor. Organizational Trust this Week is a new feature beginning with the “Good”, moving through the “Debatable” and occasionally ending with the “Ugly.” Each story contains a trust component and at least one lesson for organizations seeking to make trust a business imperative. Just hire the Ex-Con with the shortest rap sheet! Apparently Wells Fargo is the best of the worst! Sorry, but integrity cannot be regulated! CEO Apologies? Really? More Uber weirdness. We will be publishing our third book at the end of November.